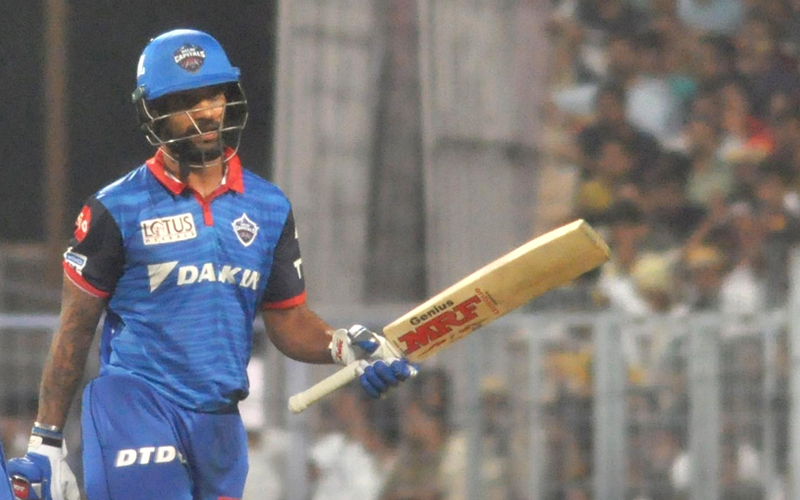 He may have missed out on his maiden T20 century by three runs, but the sportsman that he is Shikhar Dhawan was all smiles when Colin Ingram hit a six to take Delhi Capitals home against Kolkata Knight Riders at the Eden Gardens. While team advisor Sourav Ganguly called him a class act, the opener said that the team always comes before personal goals. "I knew it could be my first T20 hundred but the team goal is more important, hence I took that single rather than taking a huge risk," he smiled. Comparing the wicket at the Eden Gardens to the one back home at the Feroze Shah Kotla, Dhawan said: "It's totally opposite here compared to Delhi. I was telling Dinesh (Karthik) the same thing. It's a good wicket to bat on. Good for the bowlers as well as the batsmen, makes it interesting. In Delhi we have to adapt ourselves, hence we got to have that skill." While Dhawan generally looks to settle down into the innings, he started aggressively from the word go at the Eden Gardens and the opener said that he enjoyed batting on the wicket which suited stroke play.